The Democratic candidate in a North Carolina congressional race rocked by allegations of election fraud has officially withdrawn his concession to his Republican opponent and accused him of "bankrolling" the operation in question. 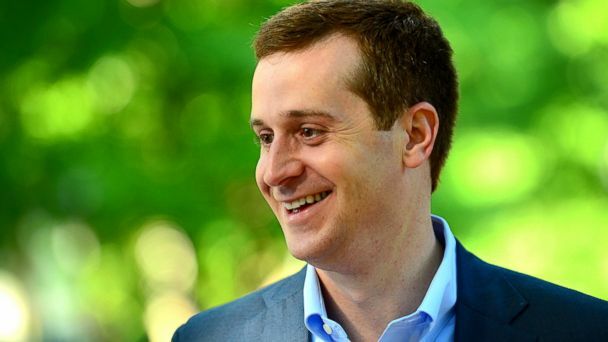 "Over the last week we have seen the criminal activity come to light," Dan McCready, the Democratic candidate in North Carolina's 9th Congressional District said in an exclusive interview with ABC News affiliate WSOC's political reporter Joe Bruno. The Republican, Harris, a local pastor, defeated McCready, a U.S. Marine Corps veteran and solar energy entrepreneur, by 905 votes in the November general election. But evidence of attempts by a campaign consultant for Harris to submit hundreds of fraudulent absentee by-mail ballots have led the North Carolina State Board of Elections to delay certification of the race while a thorough investigation is completed. "We have seen that my opponent Mark Harris has bankrolled this criminal activity. So as of today I am withdrawing my concession to Mark Harris and furthermore I call on Mark Harris to tell the American people exactly what he knew and when he knew it," McCready added. "I didn't serve overseas in the Marine Corps just to come back home and watch politicians and career criminals attack our democracy," McCready added in a video tweeted out from his campaign account Thursday evening. Mounting allegations of widespread election fraud in the race have garnered national attention and sparked calls from top Democrats in Congress and the editorial board of the state's largest newspaper to call for an entirely new election to be called. Here's what we know about what is alleged, what the candidates and parties are saying, and what might happen in North Carolina's 9th Congressional District. What happened, and where does the race stand right now? The race between Harris and McCready was hotly contested from the start, despite the fact that it has been in GOP hands since the early 1960's and President Trump won the district in the 2016 election by nearly 12 points. The district, which runs from the Charlotte suburbs along the North Carolina-South Carolina border to the city of Fayetteville, was high on the list of Democratic targets this cycle. Returns on Election Night showed Harris with a slim lead of fewer than 1,000 votes over McCready, which led the Republican to declare victory, despite lacking a concession from McCready. However citing Harris' slim lead, McCready conceded the next day, writing on Twitter, "We've looked hard at the numbers, and the margin is too large to justify a recount. This does not mean that our mission is over. As long as our country remains divided, we still have work to do." For weeks, it appeared Harris was headed to Congress unimpeded, but then on Nov. 27th, in a stunning move, the bipartisan state Board of Elections (made up of four Democrats, four Republicans and one unaffiliated member) voted unanimously to delay certification of Harris' 905-vote vote victory over McCready in the 9th Congressional District, with one of its board members citing possible voting irregularities in some of the districts more rural counties, including Bladen County. Then on Friday the board held another meeting where they voted 7-2 to again delay certification of the result and also agreed to hold a public, evidentiary hearing "in light of claims of numerous irregularities and concerted fraudulent activities related to absentee by-mail ballots," and other matters "to assure that the election is determined without taint of fraud or corruption and without irregularities that may have changed the result of an election," according to an official transcript of the board's meeting. That hearing will be held on or before Dec. 21st. What is the Board of Elections investigating? At the heart of the investigation into possible election fraud are absentee by-mail ballots, and the campaign consultant for Harris, Leslie McCrae Dowless, who allegedly led an operation to submit hundreds of those ballots illegally. According to multiple news reports and several sworn affidavits, a staffer for Harris' campaign, Leslie McCrae Dowless, organized a system through which he and various staffers would physically go to various houses in rural North Carolina, in this case, Bladen County and Robeson County, ask voters to request absentee ballots, and then return later to collect those ballots with the promise of mailing them in. One voter, 27-year old Datesha Montgomery of Elizabethtown, N.C., claims in a sworn affidavit that in early October, a woman "came by and asked for my absentee ballot." "She states that [the woman] was collecting peoples ballots in the area. She had just come from another ladies house. I filled out two names on the ballot, Hakeem Brown for Sheriff and Vice Rozier for board of education. She stated the others were not important. I gave her the ballot and she said she would finish it herself. I signed the ballot and she left. It was not sealed up at any time," Montgomery said in the affidavit. Affidavits from Montgomery and five other North Carolina voters were submitted to the state Board of Elections by John Wallace, a lawyer for the North Carolina Democratic Party. Under North Carolina state law, only a voter, voters' near relatives or a voter's legal guardian is legally allowed to drop off an absentee ballot. While the full extent of the scheme and its effect on the outcome of the race is still being investigated, an analysis by Michael Bitzer, a political science professor at Catawba College, absentee ballots made up a much larger share of the vote in Bladen County, which is where Harris won those votes by a significantly higher margin than any other county in the district. Additionally, Bladen was the only county where Harris won the absentee vote, with McCready taking it in every other county in the district. "In Bladen County, 61 percent of the accepted absentee by mail ballots went Republican - the only county to do so; meaning that along with the almost 20 percent of loyal registered Republicans who voted that method, Harris would have also received almost all the registered unaffiliated voters and/or some Democratic registered voters to make it to 61 percent of the vote," Bitzer wrote. What could happen next? Could there be a whole new election? According to state law, the elections board can call a new election if it determines "that the irregularities or improprieties occurred to such an extent that they taint the result of the entire election and cast doubt on its fairness." There are four instances total under which a new election can be called for by the North Carolina Board of Elections, but this is the only one that does not strictly depend on the number of votes separating candidates or in question. If that happens, there will be a new election with the same candidates that ran in the November general election: Mark Harris (R), Dan McCready, and Libertarian candidate Jeff Scott. The U.S. House could also refuse to seat Harris, and call for a new election to be held. The House, under the U.S. Constitution, has the "express authority to be the judge of the 'elections and returns' of its own Members." Under federal law, the Committee on House Administration has the authority to independently investigate the election and submit recommendations for how to resolve the situation, which includes the power to call for a new election. If that happens, an entirely new election would occur, with each party holding new primaries to determine candidates and a subsequent general election. On Tuesday, incoming Democratic House Majority Leader, Rep. Steny Hoyer of Maryland, signaled his party may block Harris from being seated until the situation is resolved. "If there is what appears to be a very substantial question on the integrity of the election, clearly we would oppose Mr. Harris being seated until that is resolved," Hoyer told reporters. It is also of course still possible that the North Carolina Board of Elections could decide there is not sufficient evidence of fraud and certify Harris the winner. Dowless, the man at the center of the alleged scheme, currently serves as the vice chair of the Bladen County Soil and Water Conservation District and has a lengthy criminal history dating back to the 1980s. He was convicted of passing a worthless check, perjury and felony fraud and served six months in prison, according to WSOC-TV, an ABC News affiliate based in Charlotte. Dowless has been active in local political circles dating back to at least 2010, according to WSOC. While Dowless does not appear on any campaign finance records for Harris' 2018 campaign, filings with the Federal Election Commission (FEC) show that Harris paid Red Dome Group, the political consulting group that employed Dowless, nearly $430,000 for various activities throughout the 2018 election. Multiple interviews conducted by ABC News affiliate WSOC-TV political reporter Joe Bruno suggest that multiple people were working under Dowless' direction collecting absentee ballots, and two women interviewed by BuzzFeed News provided details about the scheme, alleging that Dowless personally paid workers, including family members, from stacks of cash to go out and collect absentee ballots from voters, and then fill in those ballots with a preferred candidate, in this case, Harris. What are the candidates and parties saying? McCready officially retracted his concession on Thursday in an interview with WSOC. Harris has largely remained silent on the investigation, but did release a statement after the Board of Elections meeting last week, saying that the board should "act immediately" to certify the result, despite the allegations of fraud. Robin Hayes, the chairman of the North Carolina Republican Party, released a statement Tuesday saying that the party "supports criminal investigations into any possible unlawful elections activities," but called on the Board of Elections to hold a public hearing before December 21st to "lay out the facts." Meanwhile, National Republicans and President Trump have thus far remained silent on the situation, and the National Republican Congressional Committee (NRCC) did not respond to a request for comment from ABC News. Illinois Rep. Cheri Bustos, the new Chairwoman of the Democratic Congressional Campaign Committee (DCCC), released a statement Tuesday saying the party is providing "legal support" and is watching the situation closely. A Democratic official confirmed to ABC News that the DCCC has legal staff on the ground in North Carolina-09, is cooperating with the campaign and is attempting to collect affidavits from anyone that came in contact with Dowless. The official said there are "more than a handful" of staff currently on the ground, and that the group is prepared for any pending legal battles.